P B Marko, Clemson University, Clemson, SC, USA © 2008 Elsevier B.V. All rights reserved. Sympatry is the term used to describe populations, varieties, or species that occur in the same place at the same time. In the broadest sense, sympatric species have overlapping geographic ranges, but in ecology, a narrower definition is often used that describes species that not only have overlapping ranges, but that live in the same local community such that they are close enough to interact. For this reason, 'syntopic' is sometimes used for emphasis, to describe individuals of different species that occur side-by-side in nature, utilizing the same habitats. Figure 1 Diagrammatic representation of sympatry and allopatry. (see Allopatry). Lastly, strong ecological differences between species that have completely overlapping ranges raise the question of whether new species can arise from within a single, freely interbreeding population. This last idea, known as sympatric speciation, is controversial because it has the unorthodox requirement that the initial restriction of gene flow between populations leading to speciation is caused by disruptive selection rather than spatial isolation. Although sympatric specia-tion has experienced a recent surge of support among ecologists, clear evidence of the process remains rare. One clear exception is speciation by polyploidy in plants, a process in which a self-fertile but reproductively isolated individual is produced in sympatry with its parents. Sympatry: Primary or Secondary Contact? The controversy surrounding sympatric speciation stems mainly from difficulties demonstrating that sympatry between closely related species represents the primary intergradation and divergence of one population into two rather than secondary contact between species that initially diverged in allopatry. Because fairly strong evidence indicates allopatric speciation is both common in nature and requires few assumptions (see Allopatry), geographic isolation followed by secondary contact is often considered the null hypothesis for explaining sympatric overlap between species. In fact, most evolutionists will agree that given enough time, reproductive isolation is an inevitable consequence of the cessation of gene flow between physically isolated populations. Proponents of sympatric speciation have argued that establishing allo-patry as a null hypothesis of speciation makes allopatry an unfalsifiable hypothesis: a skeptical allopatricist can always fall back to the position of ancient allopatry. Consequently, several authors have proposed explicit criteria for identifying potential cases of sympatric spe-ciation. However, these criteria are often ambiguous, stating that biogeographic evidence must render allopatry 'very unlikely'. Therefore, determining whether any example meets this particular criterion is not only challenging, but somewhat subjective. Although distinguishing between primary and secondary contact is not easy, some recent empirical studies using molecular approaches have received considerable attention. For example, co-occurring morphologically distinct forms of the threespine stickleback (Gasterosteus aculeatus), once heralded as a potential example of sympatric specia-tion, is now regarded as a clear case of allopatric isolation followed by secondary contact. In this species, morphologically and ecologically distinct 'benthic' and 'limnetic' forms or morphs occur in sympatry in at least six different lakes in British Columbia (Figure 2). Even though the two morphs hybridize, strong disruptive selection and assortative mating keep both distinct. Phylogenies based on mitochondrial DNA (mtDNA) indicate that different morphs within each lake are more closely related to each other than to their ecological and morphological counterparts in other lakes, a key piece of evidence used to support a sympatric origin of morphs within each lake (Figure 3 a). 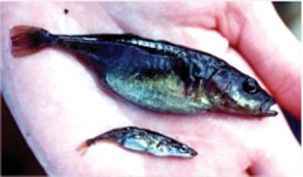 Figure 2 'Benthic' (above) and 'limnetic' (below) forms of the threespine stickleback (Gasterosteus aculeatus) from Lake Paxton, British Columbia. The benthic form is bottom-dwelling, living close to shore; limnetics live further from shore in open water. Photo by Todd Hatfield, courtesy of Dolph Schluter. caused character displacement in each lake, leading to the independent evolution of both morphs in all six lakes. The story of the threespine stickleback highlights a problem that undermines studies of sympatric speciation that rely solely on mtDNA: hybridization and introgres-sion of mtDNA can make sympatric taxa look like sister species (i.e., each others' closest relative) when they are not. MtDNA has been used to support sympatric specia-tion in several other groups, most notably in cichlid fish in east African freshwater lakes. These recently formed lakes contain several radiations of hundreds of species, called species 'flocks'. Because some flocks are both restricted to single lakes and monophyletic (all species descended from a single common ancestor), many evolutionists consider these radiations the products of sympatric speciation. Nevertheless, this hypothesis rests on phylogenies derived from mtDNA. However, two recent studies, one involving cichlids in an isolated Nicaraguan lake and the other concerning two species of palms (Arecaceae) on a remote Australian island, appear to hold up under the nuclear DNA 'test'. Figure 3 Hypothesized phylogenetic trees of 'benthic', B; 'limnetic', L; and marine, M forms of the threespine stickleback, Gasterosteus aculeatus under different geographic scenarios of speciation. Subscript refers to one of two different lakes. (a) Relationships among morphs following sympatric speciation that has occurred in parallel in two different lakes: benthic and limnetic morphs within each lake are sister species. (b) Phylogenetic tree expected under allopatry: similar morphs in different lakes are sister taxa. In Nicaragua, a relatively small and isolated crater lake less than 23 000 years old (Figure 4a) contains two repro-ductively isolated species of Midas cichlids (Figure 4b). Analyses of both mtDNA and numerous nuclear genes are fully consistent with the hypothesis that these species evolved from a common ancestor under sympatric conditions (Figures 4c and 4d). Although plausible allopatric scenarios are difficult to rule out unequivocally, Nicaraguan cichlids and Australian palms provide the two most compelling cases where speciation appears to have been sympatric. 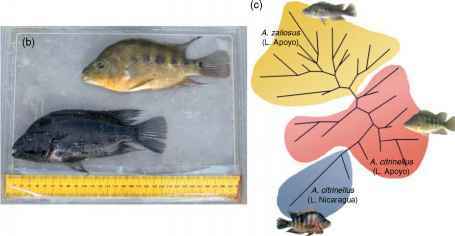 Figure 4 Evidence of sympatric speciation in crater lake cichlid fish. (a) Lake Apoyo, Nicaragua, a volcanic crater lake approximately 5 km in diameter and only 23 000 years old. (b) Specimens of Amphilophus citrinellus (above), and A. zaliosus (below) from Lake Apoyo. (c) Unrooted neighbor-joining phylogeny derived from nuclear AFLP loci demonstrating that, within Lake Apoyo, A. zaliosus is genetically distinct from sympatric A. citrinellus. (d) Rooted microsatellite-based population tree showing that A. citrinellus in Lake Apoyo is more similar to A. zaliosus than to other populations of A. citrinellus in other lakes. The sister-group relationship between A. zaliosus and A. citrinellus from Lake Apoyo is consistent with sympatric speciation (see Figure 3). Images courtesy of Axel Meyer. behind this approach is that if sympatric speciation is reasonably common in any particular group of organisms, range overlap among sister lineages should be inversely correlated with the time since speciation: the most recently diverged species should show complete or near overlap, but as time progresses, the amount of range overlap will decrease (Figure 5). In contrast, if allopatry is the norm, range overlap is expected to be initially zero, but should increase over time as geographic barriers between species break down. When applied to groups for which the quality of range data is high and good molecular phylogenies are available (from which estimates divergence times can be calculated), age correlation analysis yields mixed results (Figure 5). Although the analyses generally support allo-patry as the predominant mode of speciation in vertebrates, several groups, particularly insects, include a considerable number of recently split pairs of species that have high range overlap. In fact, these analyses suggest that as many as one-quarter of insect speciation events are sympatric. 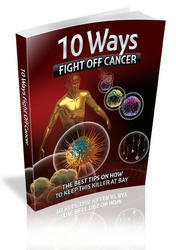 Although intriguing, the interpretations of these analyses have several caveats. First, if divergence times are based on mtDNA, introgression may make sympatric species appear more recently diverged than they are. Second, a variety of different analyses show that species' geographic ranges can change dramatically over very short periods of time. For example, range shifts in response to post-glacial warming over the past 2 million years have likely scrambled associations between the geographic mode of speciation and range overlap in many species derived during the Pleistocene. Figure 5 Expected relationship (upper left most plot) between genetic divergence and geographic range overlap under sympatric and allopatric speciation plus observed patterns among vertebrate and invertebrate taxa. Modified from Barraclough TG and Vogler AP (2000) Detecting the geographic pattern of speciation from species-level phylogenies. American Naturalist 155: 419-434.
model biogeographic systems tend to be less useful for understanding how reproductive isolation evolves within a single population. To identify potential evolutionary mechanisms, numerous verbal and mathematical models have been proposed, and several model systems have been studied extensively in attempts to illustrate ecological scenarios under which sympatric speciation can occur. Nearly all the mathematical models invoke disruptive selection, in which different homozygous genotypes have high fitness on one of two potential habitats or resources. Although intermediate (heterozygous) genotypes may have lower fitness in either habitat, assortative mating (nonrandom mating in which individuals mate preferentially according to phenotype) that reduces the frequency of heterozygous offspring must also evolve in order for speciation to occur. Ernst Mayr's forceful arguments favoring allopatry over all other geographic modes of speciation (see Allopatry) motivated some evolutionary biologists to develop models under which sympatric speciation is possible. John Maynard Smith, a British evolutionary biologist, generally considered the founder of theoretical work on sympatric speciation, published a paper in 1966 describing a very simple two-locus population genetic model that provided a plausible mechanism through which reproductive isolation could evolve in sympatry. In the model, one locus (A) affects fitness in one of two habitats (i.e., resources or hosts): one allele (A1) is advantageous in one patch and a second allele (A2) is advantageous in an alternative patch, such that homozygous individuals have greater fitness in one of the two patches but heterozygotes have reduced fitness in either. Although selection can create and maintain a resource-use polymorphism within this hypothetical population, offspring with deleterious intermediate genotypes (A1A2) will be constantly produced at high frequencies if mating is random. However, the second locus controlling mate choice (B) causes individuals to prefer mates with similar genotypes (positive assortative mating), so that B1B1 genotypes prefer to mate with one another rather than with B2B2 individuals, which in turn prefer to mate with each other. However, in order for assortative mating with respect to the B locus to cause a reduction in the frequency of A1A2 heterozygotes, the A1 allele must become associated with the B1 allele and A2 with B2 (i.e., in linkage disequilibrium) such that A1B1 gametes unite with other A1B1 gametes more frequently than with A2B2 gametes (and vice versa for A2B2 gametes). Maynard Smith proposed that linkage disequilibrium can be generated between alleles at locus A and locus B if the two loci are physically close enough to each other on the same chromosome such that recombination is unlikely to break the association. Although the assumption of linkage disequilibrium by itself is plausible, most evolutionary biologists agree that the combination of several unusual conditions in Maynard Smith's model (strong habitat selection, assorta-tive mating, and linkage disequilibrium) is unlikely to occur very often in nature. However, this early modeling stimulated others to focus on more probable ways that assortative mating could reinforce habitat selection. Guy Bush, the most prominent proponent of sympatric specia-tion among evolutionary biologists (and, interestingly, a former student of Ernst Mayr), pointed out that ecological isolation could evolve in highly host-specific taxa, such as herbivorous insects, if individuals mate exclusively on their host. Under this assumption, if a genetically based difference in host preference evolves within the population, it will necessarily cause ecological isolation. Computer simulations show that if habitat selection is strong, a single population does indeed divide itself into two host-associated, ecologically isolated populations. Several other models propose that morphological evolution caused by habitat selection could cause assor-tative mating if individuals simply tend to choose mates with similar phenotypes. For example, if adaptation to different niches (e.g., seed size) causes divergence in morphological traits that also happen to be involved in mate choice (e.g., bill size), assortative mating could potentially occur as a by-product of adaptation. Additional models have focused on adaptation to continuously varying resources, rather than those based on discretely varying resources (developed with host-specific insects in mind), whereas others have invoked more genetically plausible scenarios in which the evolution of male and female preference involves genetic changes at many loci (i.e., quantitative traits). As with their predecessors, most of these models show that under specific conditions, sympa-tric speciation is clearly possible. Although technical issues have been raised with all models of sympatric speciation, the most significant criticism leveled against them is whether they involve biologically plausible conditions. Gavrilets notes that the widespread use of simulation approaches, each driven by a different set of assumptions, make it difficult to draw general conclusions from the body of theory on sympatric speciation, other than ''conditions for sympatric specia-tion are not wide and sympatric speciation does not occur easily'' (p. 404). However, one point often overlooked in the simulation results based on Bush's model is that with some spatial segregation, but still fairly high gene flow (~10%), ecological isolation evolves quite rapidly. Although critics may be correct that 'pure' sympatric speciation is rare, the strong polarization of opinions in the speciation literature tends to obscure the fact that sympatric and allopatric speciation lie at opposite ends of a continuum with respect to gene flow, which can range from zero to panmixia. It is possible that many speciation events may fall somewhere between these two extremes. Surprisingly, few studies of sympatric speciation have been conducted in the lab. The most widely cited example, by Rice and Salt, in which newly hatched fruit flies (Drosophila melanogaster) were released inside a maze that provided individuals with three simultaneous habitat choices involving geotaxis, phototaxis, and chemotaxis. After the flies successfully navigated the maze, only those that chose one of two 'habitats' (i.e., two particular combinations of the three choices) were allowed to mate. Offspring from these matings were subjected to additional selection (based on development time) and selected individuals were subsequently released back into the maze. Key features of the experiment were: (1) individuals that chose intermediate habitats were considered lethal and therefore removed from the experiment (a feature considered unrealistic by some but vigorously defended by Rice and Salt) and (2) mating occurred exclusively after habitat selection. After only 30 generations, all flies in each of the two selected habitats were the offspring of parents that chose the same habitat, meaning that complete ecological isolation had evolved. Additional experiments showed that flies had not evolved assortative mating with respect to pheno-type, but that effective assortative mating was simply a byproduct of flies mating exclusively after habitat selection. Critics have suggested that by preventing matings between flies in the two habitats (offspring sired in different habitats mixed briefly after hatching, during a stage of sexual immaturity), the experiment essentially simulated allopa-tric speciation. However, the goal of the study was simply to determine if a single population of flies could be split into two with a combination of strong disruptive selection and the requirement that matings only occur after habitat selection, a scenario very similar to that simulated by Bush's model and one that, proponents argue, approximates the life histories of many host-specific insect species. 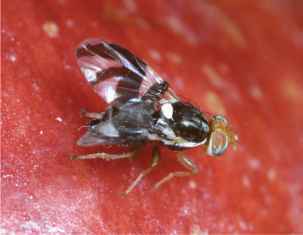 Figure 6 The apple maggot fly, Rhagoletis pomonella. This species exists as one of two host races, which breeds on either hawthorn or domesticated apple, and is widely cited as an example of a population in an early stage of sympatric speciation. Photo courtesy of Andrew Forbes. is the ancestral host for R. pomonella; infestation of cultivated apple was first reported in the mid-nineteenth century. In both races of flies, males and females choose mates exclusively on their host plant in the late summer and females oviposit on the ripening fruit. Apple and hawthorn are allochronic: fruiting in apple and hawthorn is offset by about three weeks, such that apple larvae must endure longer periods of warmer temperatures. A variety of different experiments have shown that R. pomonella show a preference for the host they were collected from; volatile compounds released from the surface of fruit provide chemosensory cues for flies to distinguish hosts. Gene flow between the two races is greatly reduced (to less than 10%), but because genetic divergence after only 100-200 generations is very slight, the two host races are not considered new species. As was the case in Rice and Salt's experiments, assortative mating in R. pomonella is a by-product of habitat selection. The apple maggot fly therefore appears to illustrate all of the basic components of models of sympatric speciation. Although divergence in host preference and therefore ecological isolation between the two races must have evolved after the colonization of apple in the 1800s, detailed genetic analyses have revealed a somewhat more complex geographic history for the adaptive genetic differences between the two races. DNA sequence analysis indicates that a chromosomal rearrangement associated with diapause differences between the hawthorn and apple races originated more than a million years ago in allopatry, in either Mexican or southern US populations, where larvae are exposed to higher temperatures. This adaptive geographic variation, once introduced into populations in the northern US via gene flow, probably facilitated the sympa-tric host shift to apple in northern North America. Figure 7 A male snapping shrimp (Synalpheus regalis) guarding the entrance to its host sponge. Behavioral and genetic analyses suggest that numerous host races have evolved within different sponge species, and may represent the early stages of sympatric speciation. Photo courtesy of Emmett Duffy. Therefore, even though host discrimination must have evolved in sympatry, some of the genetic architecture that permitted a sympatric host shift likely arose in allopatry. Since the initial work on Rhagoletis, numerous other cases of sympatric host races of insects have accumulated in the literature (reviewed by Dres and by Mallet and Berlocher and Feder), a pattern consistent with comparative age correlation studies in insects (described above). Some studies, such as one involving the homopternan genus Enchenopa, provide examples where sympatric divergence appears to have reached full species status. 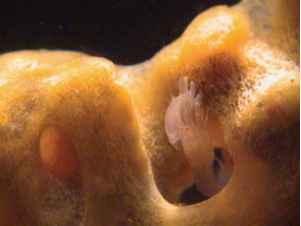 Sympatric host races have been reported from shrimp species in the genus Synalpheus (one of the most species-rich crustacean genera in the sea) that live inside one of two different host sponge species on coral reefs (Figure 7). Given the diversity and abundance of reef symbioses, the potential for sympatric speciation in these ecologically complex habitats merits greater attention. In most of these cases, however, little evidence indicates host races and species actually evolved in sympatry. A polyploid is an organism with more than two complete sets of chromosomes and can be produced in one of two ways. First, a polyploid can be created from a single ancestral species by autopolyploidy. For example, if meiosis fails to properly reduce the number of chromosomes by half in a diploid individual (2n) and a 2n gamete unites with a properly reduced haploid gamete (1n), the result is a triploid zygote (3n). 3n (or any odd ploidy) individuals are usually sterile, but if an unreduced 3n gamete unites with a 1n gamete from a 2n parent, a tetraploid (4n) is produced. Tetraploids are usually fully fertile and can often self-fertilize. However, offspring from crosses between tetraploids and diploids are usually sterile, causing the tetraploid individual to be reproduc-tively isolated from its diploid progenitors. A second way that polyploids can be produced is by hybridization between distantly related species (allo-polyploidy). In offspring from such a cross, chromosomes that are sufficiently structurally divergent will not pair during meiosis, such that gametes possess more chromosomes than either parental species. Offspring from crosses between such a polyploid and one of its diploid parents are usually sterile; so polyploids formed in this manner are also reproductively isolated from their diploid ancestors. Therefore, whether by autopolyploidy or allopolyploidy, polyploidy can result in instantaneous sympatric speciation. Hybridization between related but distinct species can also produce progeny that have the same ploidy as either parent but which are reproductively isolated from both. So-called recombinational speciation is not as well known as speciation by polyploidy, but can similarly give rise to new species both rapidly and sympatrically. Because polyploid and hybrid species arise in sympatry as single individuals (surrounded by their diploid progenitors), they may endure intense competition. Many persistent polyploid and hybrid species are ecologically distinct, however, and are often capable of immediately occupying new ecological niches immediately upon their origin. Polyploidy is rare in animals, probably in part because vegetative reproduction can lead to prolonged survival and proliferation of plant hybrids. In contrast, polyploidy is known from nearly all groups of vascular plants, mosses, and algae, but is best known among angiosperms (particularly among crop species and ornamental plants) and ferns. Therefore, polyploidy, and thus sympatry, is widely accepted as a common and important manner of speciation in plants. Estimates of the proportion of speciation events that involve polyploidy, however, are less than 10%. Botanists generally agree that more speciation events occur by allopolyploidy than by autopolyploidy, but recent studies have shown this to be a more complex issue. Autopolyploid individuals apparently arise more frequently in natural populations than do allopolyploids, but autopoly-ploids that persist are rare. However, many autopolyploids may go undetected because they tend to be less morphologically divergent from their progenitors than allopolyploids. The observation that polyploidy of any kind is rare on isolated oceanic islands suggests that persistence of auto-polyploids is in fact probably rare: on oceanic islands, only autopolyploids are expected to be generated because allo-polyploidy requires the unlikely scenario of successful colonization by two similar species capable of hybridization. Figure 8 Sympatric speciation by allopolyploidy in the hemp nettle. Galeopsis tetrahit (a) is a tetraploid formed from hybridization between G. speciosa (b) and G. pubscens (c). Photos courtesy of Eva Ekebald. crosses eventually yielded tetraploid progeny that closely resembled G. tetrahit, were completely reproductively isolated from either G. pubescens or G. speciosa, but produced fertile offspring when crossed with G. tetrahit. Numerous other plant speciation events have been ascribed to poly-ploidy, such as New World cotton (2n = 52), which arose from an allopolyploidization event between Asian cotton (2n = 26) and American cotton (2n = 26). Many mustard species, such as Brassica juncea (2n = 36) and B. napus (2n = 38), are also likely to be the products of interspecific crosses between B. nigra (2n = 16) and B. campestris (2n = 20), and B. oleraceae (2n = 18) and B. campestris (2n = 20), respectively. Although rare in animals, there is a disproportionate concentration of polyploid species among anuran amphibians. For example, the gray tetraploid treefrog Hyla versicolor (Figure 9) arose from diploid ancestors through a complicated history of reticulate evolution. Genetic analyses indicate that H. versicolor has genetic contributions from at least three diploid species. Recombinational speciation is less studied, but appears common, at least in plants. For example, the wild sunflower, Helianthus anomalus, arose from hybridization between the widespread H. annuus and H. petiolaris. The derivative species are ecologically distinct (found in drier soil than their ancestors), which likely promoted their persistence. Genetic analyses indicate that H. anomalus may have arisen in less than 60 generations, a remarkably short period of time in which significant karyotype evolution has occurred. For this reason, recombinational speciation has been linked to the theory of punctuated equilibrium; most paleontological examples of the latter, however, come from animals. 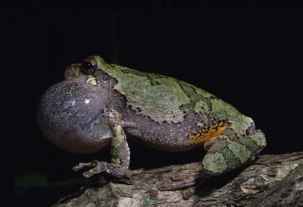 Figure 9 A male gray treefrog, Hyla versicolor calling for a mate. The inflated vocal sac more efficiently radiates sound from the larynx. Genetic analyses indicate that H. versicolor is an allopolyploid that has genetic contributions from at least three diploid species. Photo courtesy of Carl Gerhardt. See a/so: Allopatry; Animal Physiology. Arnold ML (1997) Natural Hybridization and Evolution. Oxford: Oxford University Press. Barluenga M, Stolting KN, Salzburger W, Muschick M, and Meyer A (2006) Sympatric speciation in Nicaraguan crater lake cichlid fish. Nature 439: 719-723. 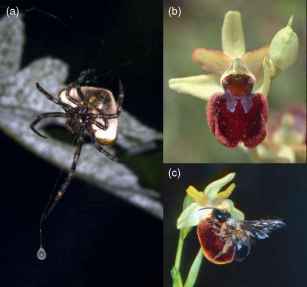 Berlocher SH and Feder JL (2002) Sympatric speciation in phytophagous insects: Moving beyond controversy? Annual Review of Entomology 47: 773-815. Bush GL (1969) Sympatric host race formation and speciation in frugivorous flies of the genus Rhagoletis (Diptera, Tephritidae). Evolution 23: 237-251. Coyne JA and Orr HA (2005) Speciation. Sunderland: Sinauer. Dieckmann U and Doebeli M (1999) On the origin of species by sympatric speciation. Nature 400: 354-357. Diehl SR and Bush GL (1989) The role of habitat preference in adaptation and speciation. In: Otte D and Endler J (eds.) Speciation and Its Consequences, pp. 345-365. Sunderland: Sinauer. Drès M and Mallet J (2002) Host races in plant-feeding insects and their importance in sympatric speciation. Philosophical Transactions of the Royal Society of London B 357: 471-492. Duffy JE (1996) Species boundaries, specialization, and the radiation of sponge-dwelling alpheid shrimp. Biological Journal of the Linnean Society 58: 307-324. Elliot FC (1958) Plant Breeding and Cytogenetics. New York: McGraw Hill. Feder JL, Berlocher SH, Roethele JB, et al. (2003) Allopatric genetic origins for sympatric host-plant shifts and race formation in Rhagoletis. Proceedings of the National Academy of Sciences of the United States of America 100: 10314-10319. Felsenstein J (1981) Skepticism towards Santa Rosalia, or why are there so few kinds of animals? Evolution 35: 124. Futuyma DJ (1998) Evolutionary Biology, 3rd edn. Sunderland: Sinauer. Gavrilets S (2004) Fitness Landscapes and the Origin of Species. Princeton: Princeton University Press. Holloway AK, Cannatella DC, Gerhardt HC, and Hillis DM (2006) Polyploids with different origins and ancestors form a single sexual polyploid species. American Naturalist 167: E88-E101.